You’re confused. How could this happen? I did everything right! But also know this, you are not alone. The GRE is serious business. It is the master key that unlocks the door to your dreams – Masters’ and beyond. For the very same reason, it is also a challenging experience because the future you want for yourself depends on it. If you are reluctant to give GRE again, don’t be. All you need is a plan – a strategy for tackling GRE and emerge victoriously the second time around. Retaking the GRE is an absolute necessity. The average score for Verbal and Quant is 150 each, making the 50 percentile score 300. Scores between 310 and 320 are accepted if you have a good admission profile with a smashing SOP and LORs that praise you to the moon and back. Having relevant work/research experience including paper publications are a major plus. Anything above 320 is an obvious guess. You needn’t bother unless you enjoy the thrill of taking exhausting and time-consuming standardized tests! But again, if you truly believe that your score is not a true reflection of your full potential, by all means, you should take GRE again and redeem yourself. If you are chasing 320 as a goal in itself, you may wonder why there is such a high stress on scoring above 320. FUN FACT: According to ETS, the number of GRE test takers between July 2014 and June 2015 was a massive 5,76,220. Differentiating yourself in this massive horde of people means you have to be extremely well-qualified to enter, develop and flourish in the field of your choice. Higher the GRE score, better the chance of getting into top universities. Higher the GRE score, better the chance of getting into top universities WITH a scholarship. So, essentially maximising your GRE score is a relatively simpler way into your dream university, especially if you are a late bloomer like me who did not know what to pursue until the very end of 3rd year. Now, let’s get some things straight. Don’t listen to that aunt of yours who says the universities don’t accept scores the second time around. ETS offers a ScoreSelect option, that allows you to send the scores you want to 4 universities of your choice. BUT, the catch is this that you cannot pick your best verbal score from one attempt and quant score from another. Also, you can take the GRE up to 5 times a year i.e in a continuous 365 day period, once every 21 days. But before you rush off to book your GRE date, WAIT. For you to be successful the second time around, you need to first analyze why you couldn’t perform your best in the first place. This turns out to be the most common reason why GRE aspirants miss out on their big score even though their mock test scores could put others to shame. Relax. It may be the biggest exam of your life, but it is just an exam after all. You have done all that you can. Last minute preparation will only stress you out. Listen to music that you love. Treat yourself to the food you love. Don’t learn any new concepts on this day. Give a mock test at the same time as your GRE exam time. Get a good night’s sleep. You will need it the next day. Stay alert. Your presence of mind will help you more than what you have prepared. Pay attention to the questions. Tune out disturbances because there will be people typing frantically into their keyboard, coughing, fidgeting etc. Remember to believe in your preparation and your capability. A common problem people face is that because they know GRE is an adaptive test, as soon as the questions start getting easier, they start panicking and free-fall their way to a disappointing score. Don’t be anxious when the questions get easier. Regroup your mind and focus on the question at hand. Leave questions that you are unsure of for verification so that you can get back to them. a) In a GRE exam, time is both your best friend and worst enemy. Learn how to manage time for a maximum score. Give as many mock tests as you can. Familiarity with the questions as well the practice of solving questions within a stipulated time cannot be taught, but it can be learnt by putting yourself in a GRE setting as often as possible. GREedge Pro Tip: Give a mock test every weekend. Don’t spend more than a minute on a question. [eBook Download] – Defeat your verbal anxiety with ultimate tips for 160+ in Verbal! Without adequate guidance and resources, most GRE aspirants often feel lost while preparing for the exam. They miss out on the opportunity to receive feedback when they land up on the wrong solution. Enquire about GRE prep courses (What are some of the best prep courses?) that allow you to prepare comfortably whilst also maintaining a cycle of learning and feedback that will help you realize where you go wrong. It could be a conceptual error or a calculation mistake. GREedge Pro Tip: Practice similar questions when you receive feedback about where you go wrong in your approach to solving the problem. This will help cement new techniques in your mind. The GRE has three sections, Quants, Verbal and Analytical Writing. If you don’t know what to prioritize, you are going to lose out on valuable time that you could have spent boosting your weak points and thereby increasing your overall score. This can be clearly seen in those students who have an excellent score in either Quants or Verbal but a passable score in the other. Don’t follow the ‘One Size Fits All’ option while choosing GRE prep courses. Ask for a study plan that takes into account your strengths and weaknesses but also budgets the time you have to dedicate to this process. So, now that you know where you might have gone wrong the first time, never repeat them again. Set a specific target score in your mind. Book your GRE date at least 1-3 months from the date of preparation depending on how much time you can allot every day. Take a diagnostic test to find out where you stand and areas you have to improve. Make a personalized study plan that takes into account your strengths, weakness and also the time available and convenience. Practice harder ever. The sheer volume of questions you do will ensure that you may already know the questions you see on your test. That’s it! You are all ready for taking your GRE again. What is your target GRE score, this time around? Comment and let us know so that we can help you get to your target score! We can certainly help you there! We’ve had students who have acheived a 23 point score boost. 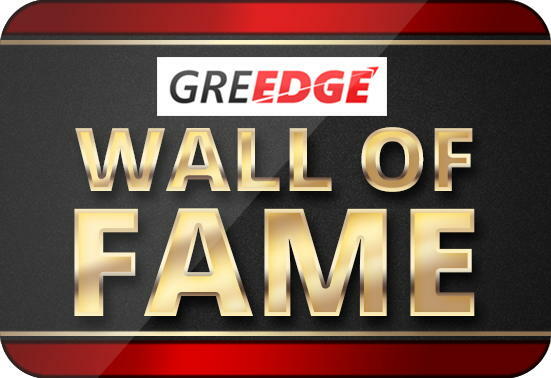 For example, GREedge Alumnus, Somya Bajaj, who scored a 310 earlier, joined GREedge and secured a 333 in GRE! You can watch a video of her Exclusive Guest Seminar here, where she talks about how she achieved this feat. If you’re interested in knowing more about how we can help you, please do schedule a call here with our student counselors. They will call you at a convenient time to discuss more about this. Looking forward to interacting with you more! I Got very low score in GRE,(299).After that i prepared in my own way and gave several mock test.I have planned to take admission in US universities for my m.s in computer science.I havent send my old score to any of my universities.I want to go to the spring session where i will have to apply in june. thats’ why i dont’ have time.Today i gave a ETS Powerprep.My powerprep mock score is 315. (151v,164 quant)What is my expected real GRE score.my next GRE exam will be on 11 th May.Please guide me to add atleast 2 to 3number. I had taken my GRE a few days back, but since I did not procure a good score, I wish to retake it. Only issue is that I had sent my score to the 4 universities. So if I were to retake the GRE, can I resend the score to the same universities and expect them to overlook the previous one? You can resend your latest scores to the university and they will consider that only. But make sure you retake & submit your scores before the deadline. I took GRE but have achieved a score of 322. I want to increase my score to 330+. How should I proceed? Boosting your score from 290+ to 310+ is relatively much easier than boosting your score from 320+ to 330+. But having said that, it’s not impossible. You will have to first take a detailed analysis of your weaker areas and then work towards perfecting it. If you’re curious, you can take our diagnostic test and find out exactly where you stand with respect to the important topics within the GRE. My ideal suggestion would be to set a target of a perfect 170 in Quant and work at a 160+ in GRE Verbal so that you’re able to achieve a 330+ score in total. Also, focus on taking as many GRE style tests in the last 2 weeks of prep so that you’re well adapted to manage your time and prevent any nerves from messing with your scores. I got 295 and my target score is around 320 .And I don’t know whether I can score that much or not. It is important to aim high and in your case scoring a 320+ might seem like the stars. However, we’ve seen students achieve 23 point, 19 point, 14 point score boosts. Therefore, it is important to never lose hope and be confident. 1) Firstly, you need to clearly understand your strengths & weaknesses. What type of topics are you more likely to make mistakes in and what kind of mistakes you’re prone to making. 2) Secondly, you must set a study plan that helps you achieve your target score while taking into account the time you can spend in a day as well as your current skill levels. 3) Thirdly, you must have a solid practice strategy and ensure you’re taking GRE-Style Mock tests atleast once a week. If you’re keen on achieving a 320+ in GRE, our personal trainers can help you do all this & more. Just schedule a call with our student counselors who can help you find the right program and get started! Look forward to hearing from you Somya! hey,i took gre and got 305 now its been a month and i want to retake the gre and i am wishing for 320+ ,how much prepration time do i need for achieving the score also its been a month i gave the exam so i have lost touch also! First of all, let me wish you all the very best for retaking your GRE. 1) How strong your basics are already. 3) How much GRE Style practice you do everyday. But, on average, most of the students who have achieved a 15+ point score boost like the one you’re expecting to make have prepared with us for 70 days. But we also have students who have achieved the same score boost in 30-45 days. If you’re interested, you can watch an Exclusive Guest Seminar from one of our students – Somya Bajaj – who boosted her GRE score from 310 to 333 in just 45 days! I took GRE and scored 302(V-142/Q-160) even after preparing for a quite a long time(2 months). I want to apply for MS in CS in US . I am skeptical about the fact that whether I would improve or not after taking the GRE for the second time(I want to apply for Fall 2019 , so I can be late as well). What to do? I scored a 304 in the first attempt ( 166 quant, 138 verbal) I still don’t understand where I might’ve messed it up, I am waiting for the detailed report.I took the test on 20th august, today is 22nd and I’m retaking the test on sept 18th, I’m pretty much sure I can crack the quant section can you suggest me anything with the verbal?Thanks ! I too gave my GRE recently on 16th Aug 2018. But scored a pathetic (V: 143, Q: 153). Could you please elaborate the kind of tough questions you got on quant. I am extremely concerned as the difficulty level seems to have increased which is not comparable with the power preps . As I had scored 315 on P2. I think conceptually, they’re stressing more on word problems which do take a lot of time to understand the question itself, I got 3 quant in my exam, the experiment section was too tough to crack, In the p2 I scored a 170/170 I rarely missed a question in quant, But I lost some in gre general test.I was suggested by a person who took the exam once to not do problems from low standard books such as 5 lb etc, Do try books of higher standard for practice and definitely take the kaplan and crunchprep tests,both of them provide us a free test upon registering. @Geetanand – I am just starting to study for the GRE but have plenty of time as the application for my program is due Dec 2019. I scored very low – 141 – on quant on Kaplan’s free diagnostic test. Why don’t you recommend the 5lb book of questions? That is one of the books I ordered. Thanks!